A colorful Abstract Cubes Hoodie. 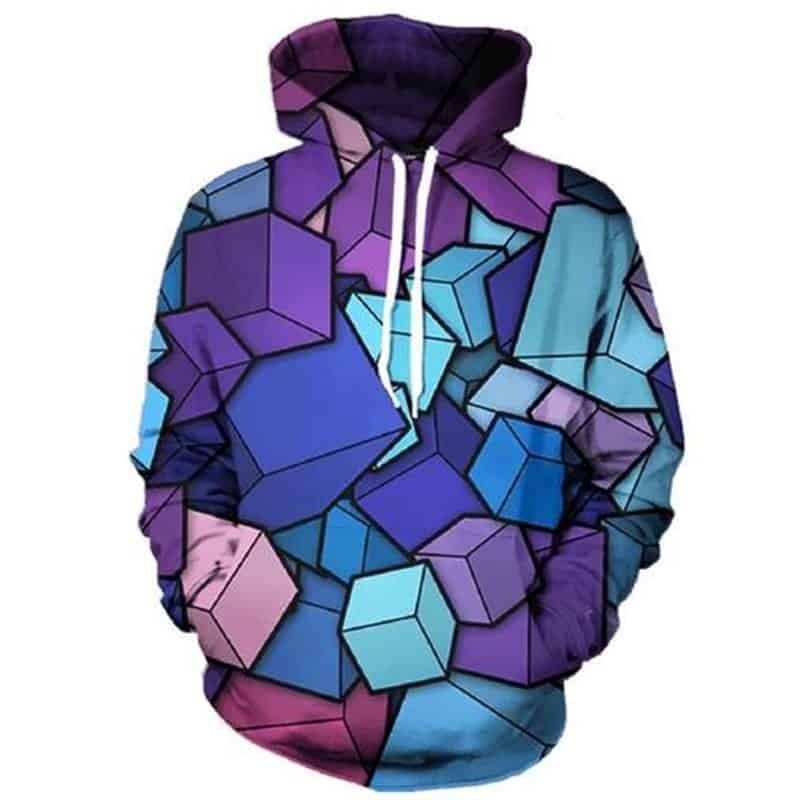 Featuring blues and purples, this hoodie has real life looking 3d cubes almost jumping out of the hoodie. A cool pattern makes for a stylish hoodie. The hoodie is comfortable to wear, looks fashionable and is wearable anywhere. It was designed for both male and female.